Mark's Tickets is the best place to find tickets for Toby Keith fans. Just check this page for any new events or schedule updates throughout the year. We sell tickets to every Toby Keith concert around the world. We know how passionate Toby Keith fans can be about country music, so we make sure to have hundreds of tickets for every concert available right up until showtime. For those looking for cheap Toby Keith tickets, we offer tickets starting at very low prices (many times below face value). 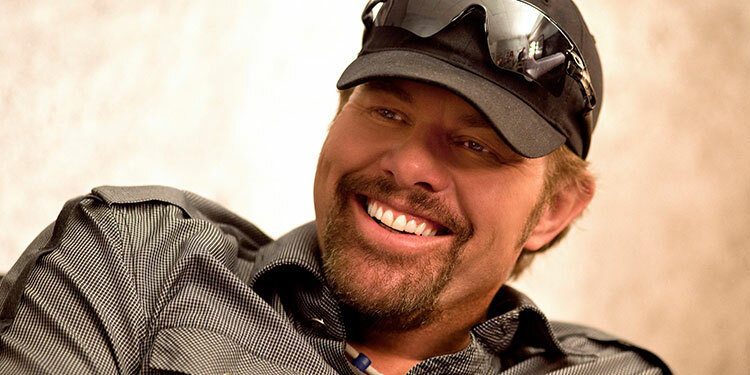 We offer tickets in most sections of every venue that Toby Keith performs. Simply choose the city or venue that you are interested in below, and you will be able to see all of the available seats. Do not forget that Marks Tickets also specializes in sold out Toby Keith tickets. No longer will sold out shows prevent you from seeing Toby Keith. Toby Keith Covel (born July 8, 1961), best known as Toby Keith, is an American country music singer-songwriter, record producer, and actor. Keith released his first four studio albums?1993's Toby Keith, 1994's Boomtown, 1996's Blue Moon and 1997's Dream Walkin', plus a Greatest Hits package for various divisions of Mercury Records before leaving Mercury in 1998. These albums all earned gold or higher certification, and produced several chart singles, including his debut "Should've Been a Cowboy", which topped the country charts and was the most played country song of the 1990s. The song has received three million spins since its release, according to Broadcast Music Incorporated.Signed to Nashville DreamWorks in 1998, Keith released his breakthrough single "How Do You Like Me Now?!" that year. This song, the title track to his 1999 album of the same name, was the Number One country song of 2000, and one of several chart-toppers during his tenure on DreamWorks Nashville. His next three albums, Pull My Chain, Unleashed, and Shock'n Y'all, produced three more Number Ones each, and all of the albums were certified multi-platinum. A second Greatest Hits package followed in 2004, and after that, he released Honkytonk University.When Dreamworks closed in 2005, Keith founded the label Show Dog Nashville, which became part of Show Dog-Universal Music in December 2009. He has released seven studio albums on this label: 2006's White Trash with Money, 2007's Big Dog Daddy, 2008's That Don't Make Me a Bad Guy, 2009's American Ride, 2010's Bullets in the Gun, 2011's Clancy's Tavern, and 2012's Hope on the Rocks as well as the compilation 35 Biggest Hits in 2008. Keith also made his acting debut in 2006, starring in the film Broken Bridges and co-starred with comedian Rodney Carrington in the 2008 film Beer for My Horses.Keith has released sixteen studio albums, two Christmas albums, and three compilation albums. He has also charted more than forty singles on the Billboard Hot Country Songs charts, including nineteen Number One hits and sixteen additional Top Ten hits. His longest-lasting Number One hits are "Beer for My Horses" (a 2003 duet with Willie Nelson) and "As Good as I Once Was" (2005), at six weeks each. He has sold more than 40 million albums worldwide.